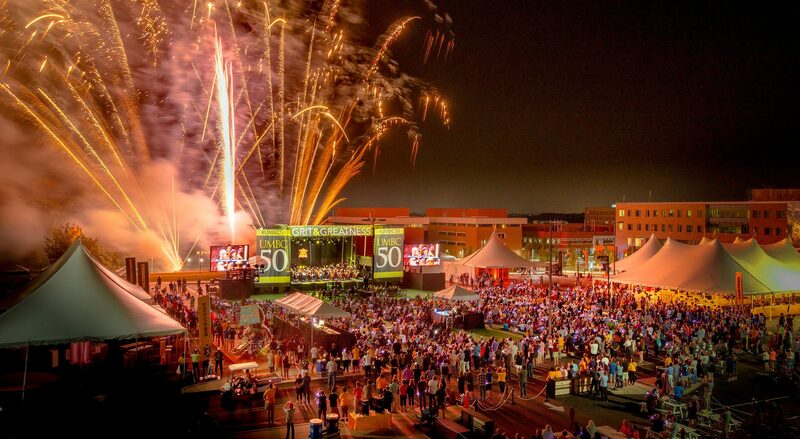 UMBC celebrated a banner year in 2016. In thousands of ways, big and small, this golden anniversary has been full of moments to remember for the university community. Retrievers in Rio — When an ESPN reporter asked Cleopatra Borel ‘02, interdisciplinary studies, what qualifying for the shot put finals at the 2016 Olympic Games meant to her, she responded simply, “Everything.” Borel represented Trinidad and Tobago at her fourth Olympic Games and finished seventh on the global stage. Mohamed Hussein ‘14, mechanical engineering, a current master’s student in engineering management, represented Egypt in the 200 meter individual medley, competing head to head with Ryan Lochte. 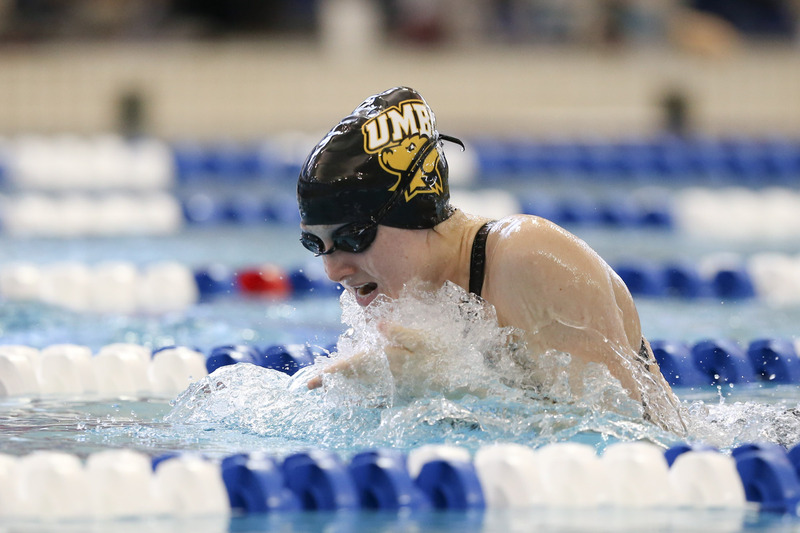 Earlier in the year, UMBC swimming and diving standout Emily Escobedo ’17, psychology, finished in the top 10 in the 200m breaststroke at the U.S. Swimming Olympic Trials after winning bronze in the 200 meter breaststroke at the NCAA finals and becoming the first Retriever to earn All-American status in the pool. Researchers of Distinction — Michael Summers, Robert E. Meyerhoff Chair for Excellence in Research and Mentoring and University Distinguished Professor of chemistry and biochemistry, became the first UMBC faculty member to be inducted into the National Academy of Sciences, one of the highest honors a scientist can receive. 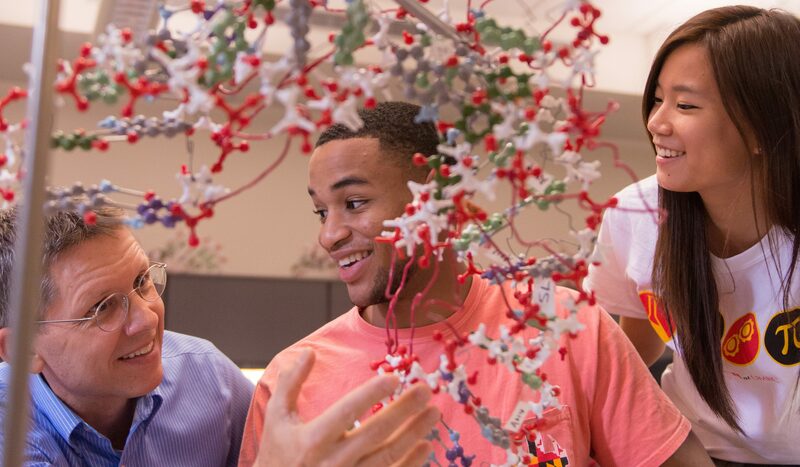 Summers was recognized both for his groundbreaking work on the HIV-1 retrovirus and his longstanding commitment to training the next generation of leading scientists, from high school through postdoctoral levels. 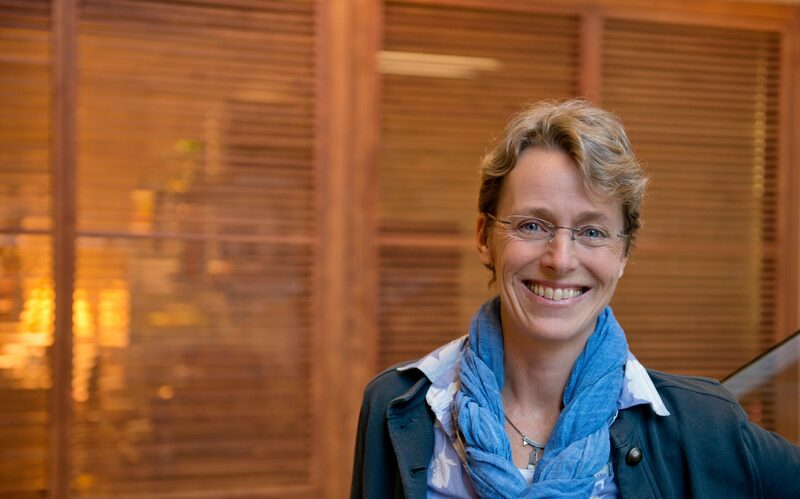 Kate Brown, professor of history, was named a 2016 Carnegie Fellow for research on the long-term health consequences of nuclear disaster. 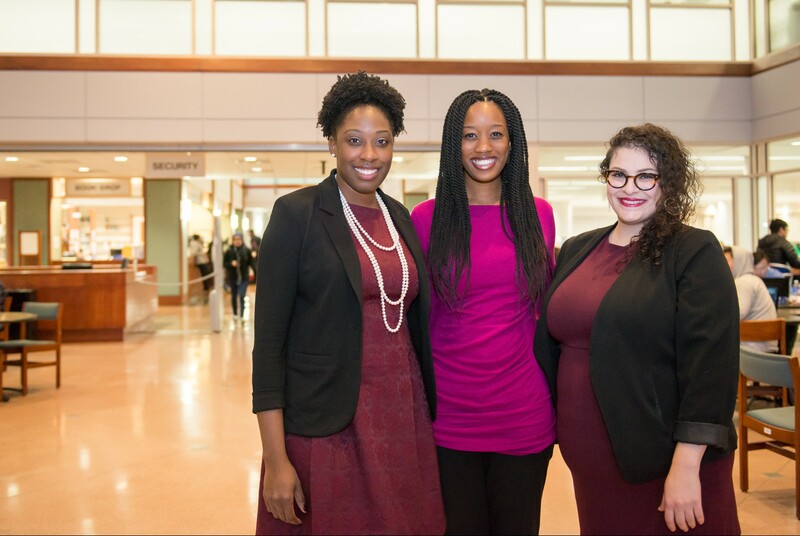 “I’m hopeful that this fellowship will help bring greater visibility and support to the high-level scholarship that exists in the humanities and social sciences,” said Brown. Leader in Education — UMBC partnered with Baltimore City Public Schools and the Northrop Grumman Foundation on a $1.6 million initiative to support Baltimore students, teachers, and communities. 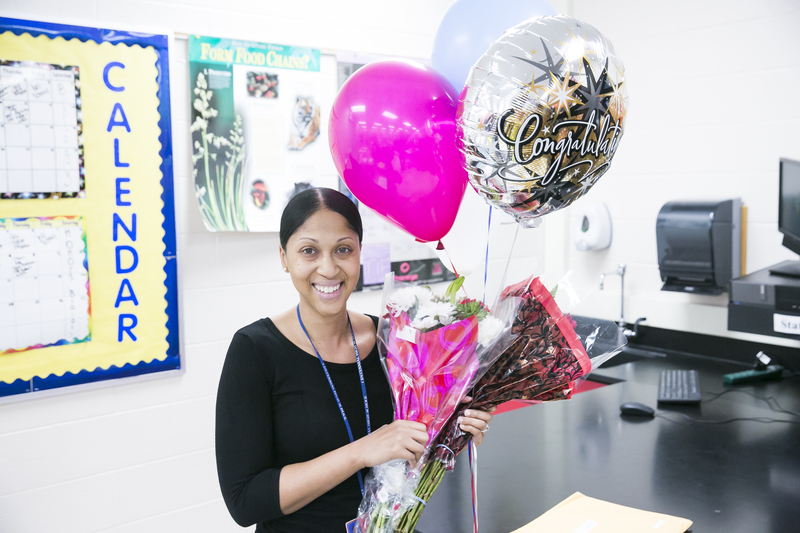 Meanwhile, Shalonda Holt ‘07, biological sciences, was named 2016 Washington Post Teacher of the Year and Howard County Teacher of the Year, and Corey Carter ’08, biological sciences, ’10 M.A.T., was named 2016 Baltimore County Teacher of the Year. CAREER Awards — Matt Pelton, assistant professor of physics, and Helena Mentis, assistant professor of information systems, both received the prominent National Science Foundation CAREER Award. Pelton explores how nanoparticles act in liquids to understand how mechanical energy flows at the nanometer scale. Mentis focuses on surgical telemedicine, exploring how surgeons can use gesture-based tools to share expert knowledge in the operating room. Helena Mentis demonstrates gestural tools. NASA Collaborations — NASA renewed its support for the Goddard Planetary Heliophysics Institute—a joint venture of UMBC; the University of Maryland, College Park; and American University—for up to $20 million over the next five years. 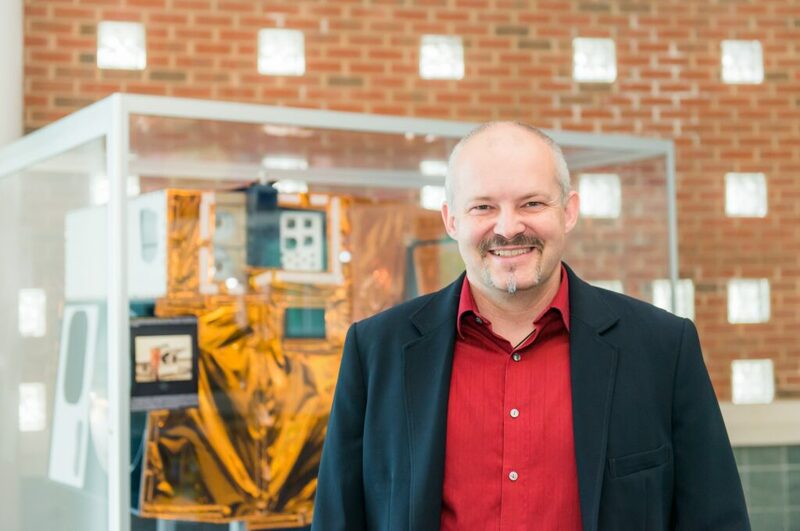 This follows the 2015 renewal of UMBC’s Joint Center for Earth Systems Technology (JCET) partnership with the NASA Goddard Space Flight Center, for up to $46 million over five years. 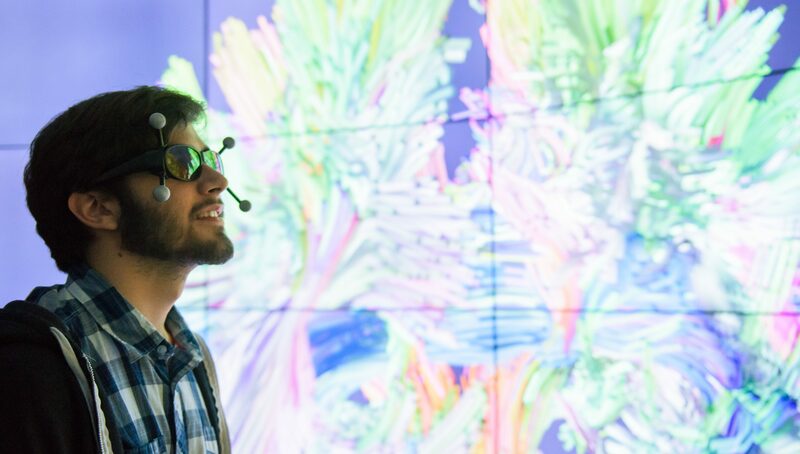 Virtual Reality Lab — UMBC’s PI2 Immersive Hybrid Reality Lab opened, giving students and faculty the ability to interact with data in a more visual way, and reducing the distance between researchers and the information they work with, whether they are studying wind farms or blood flow in the human body. Guest explores PI2 during ribbon cutting ceremony. 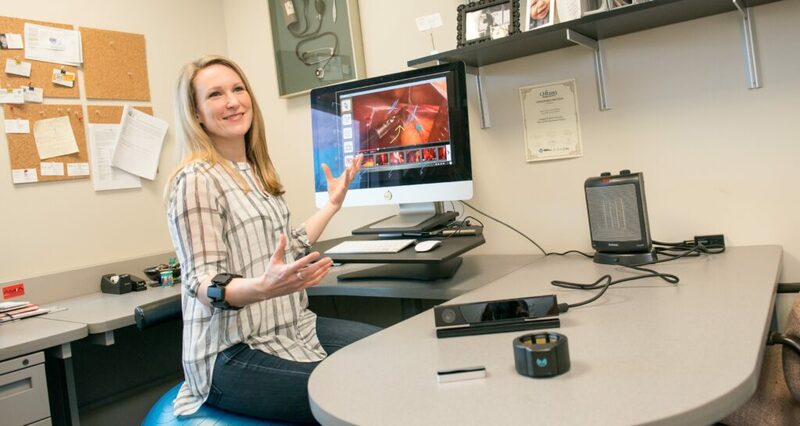 Tech Boom — UMBC faculty won four new Maryland Innovation Initiative (MII) awards to develop their ideas into commercial applications. This brings the university’s total MII awards to $2.4 million, one of the highest levels in the state. 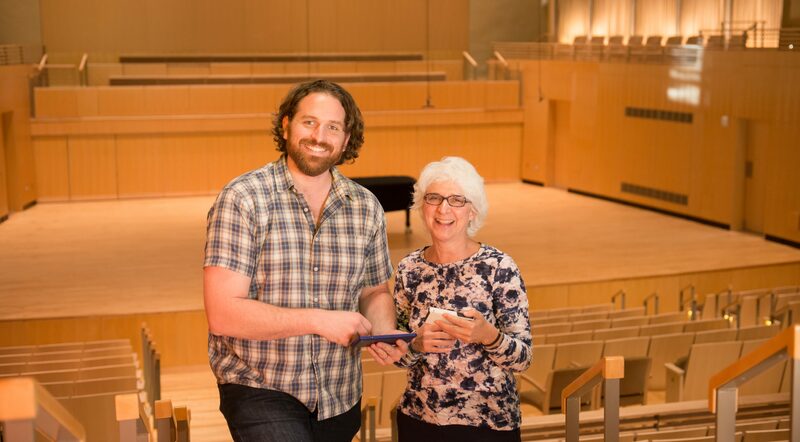 Eric Smallwood, assistant professor of visual arts, and Linda Dusman, professor of music, received an MII award for the Octava app. 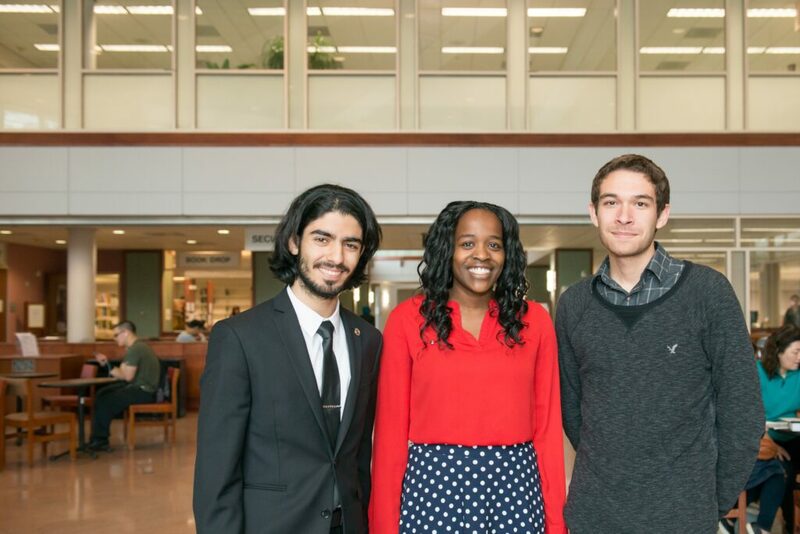 Faculty Diversity — A two-part Marketplace radio series highlighted UMBC’s initiatives to train, hire, support, and retain a diverse faculty, shining a spotlight on UMBC postdoctoral fellow Keisha Allen, education, and her experience transitioning from graduate student to faculty member, supported by faculty mentors. Record Alumni Support — A record number of alumni donated to UMBC in this calendar year. Retriever alumni contributed more than 500 gifts to student scholarships and over 1,300 gifts to the University’s Greatest Need Fund alone. Golden Anniversary — Thousands of Retrievers came together as a community—alumni, faculty, staff, and students from all five decades of UMBC history—to celebrate the remarkable story of UMBC at a 50th anniversary weekend festival. To hear the latest UMBC news as it happens in 2017, follow UMBC on Facebook, Twitter, Instagram, Snapchat (@UMBClife), and UMBC News, and sign up to receive the UMBC News “Top Stories of the Week” email. Images: All photos are by Marlayna Demond ’11 for UMBC unless otherwise noted.